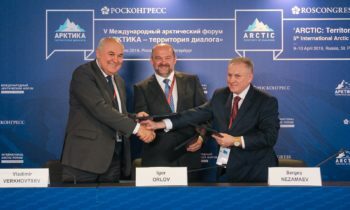 The “Key Aspects of Promising Areas of the Arctic Fishing Industry” session was held as part of the ‘Arctic: Territory of Dialogue’ 5th International Arctic Forum. During the event, representatives of the government structures of the Arctic states, fisheries associations, scientific and other organizations discussed the most important aspects of international cooperation and the prospects for sustainable fisheries in the Arctic region. “The Arctic plays an important role in Russia’s fishing industry, the area of our northern seas being comparable or even exceeding that of a number of countries, so we are closely following the processes taking place there”, he reminded the audience. “In recent years, we have noted a marked increase in temperature and are closely watching the melting of the ice cover. Yet this presents not only potential challenges but also new opportunities for fishing”, Sokolov added. Vasily Sokolov informed that an international conference on regulation of fishing in the Arctic will be held in Arkhangelsk on 12–13 April. Based on the results of this conference, a programme will be elaborated for joint scientific research. “We have not yet had cooperation of such a scale, with ten nations uniting to create an international programme for monitoring the Arctic. 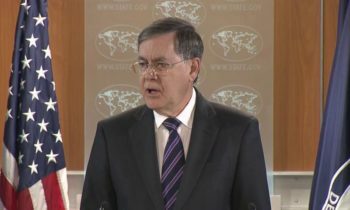 I hope that, during the conference, we will move forward in these matters”, Vasily Sokolov concluded. The topic of international cooperation was continued by Kristjan Thor Juliusson, Minister of Fisheries and Agriculture of the Republic of Iceland. “Iceland and Russia have good relations in the field of fisheries; we are strengthening cooperation both in the supply of equipment for fishing, processing and exchange of experience in organizing sustainable fisheries”, he underlined. 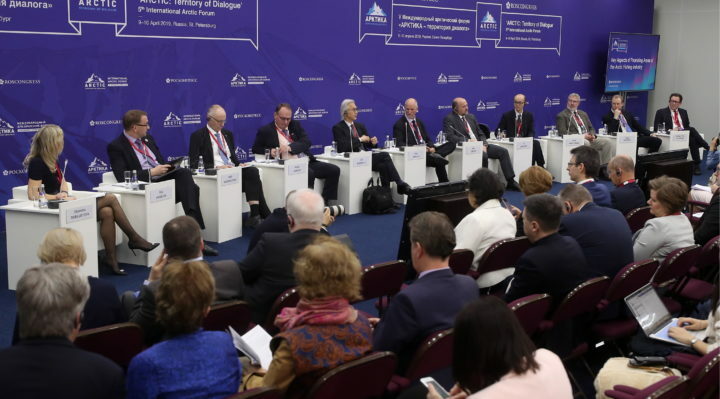 The ‘Arctic: Territory of Dialogue’ International Arctic Forum is one of the key platforms for the discussion, at a global level, of problems and prospects for the Arctic region. The Forum is an opportunity for members of the international community to pool their efforts to ensure the efficient development of the Arctic and higher living standards for populations living in Arctic territories. 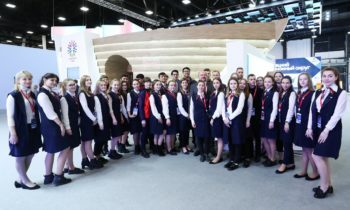 The ‘Arctic: Territory of Dialogue’ Forum was first held in 2010 and was devoted to contemporary problems of the Arctic region. The second forum was held in 2011 and focused on issues of developing transport systems in the Arctic. In 2013the key themes considered included environmental protection, while in 2017 the Forum’s theme was ‘People and the Arctic’. The key theme of the forthcoming 5th International Arctic Forum will be ‘The Arctic: An Ocean of Opportunity’. Three pillars will form the basis of the business programme: ‘Coastal Regions’, ‘The Open Ocean’, and ‘Sustainable Development’.